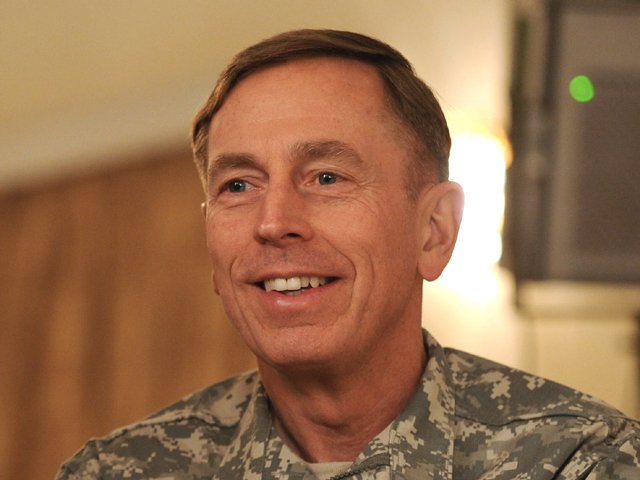 General David Petraeus, the top U.S. and NATO commander in Afghanistan, says he is excepting a brutal fight in the spring when Taliban insurgents try to return from their winter safe havens to areas already cleared by the international forces. "When you have 110,000 more of us than we had a year ago, we're obviously in many, many more places," he said in an interview with NATO TV. "We have taken away areas that matter to the Taliban and they have to fight back." But he doesn't see more violence as mission failure. "When you're on the offensive... the insurgents have to fight back and violence goes up, it's a necessary part of any counter-insurgency." Last year was the deadliest for American troops in the 10 year war, with 499 service members dying in the line of duty. Gen. Petraeus declined to provide any firm numbers regarding how many U.S. troops might return home as part of the July 2011 drawdown which President Obama announced in his U.S. policy review in December 2009. "We'll have to get a good bit closer to that, needless to say, to see what the conditions on the ground may be, and then make recommendations," says Petraeus. He assures America's war-weary public that significant gains have been made by the troop surge. International forces are controlling more areas that were once Taliban safe havens. He does see the surge continuing, but it will become more of an Afghan surge backed by U.S. forces rather than the present circumstances to the contrary. Increasing U.S. reliance on the Afghan Security Forces, however, may come prematurely. Afghan soldiers are often ill-equipped in the field, and the Afghan forces have been plagued with myriad problems, including high rates of desertion, drug-use and infiltration by the Taliban.